Poet’s daffodil, or Pheasant eye (Narcissus poeticus var. recurvus) is not your typical daff – although it has a strong claim to being the oldest. Six pure white tepals surround surely the shortest trumpet (corona) on any narcissus, fringed with the red ring that leads to one of its common names (though having eyeballed many a daft pheasant I’m not sure I see the similarity). There’s a strong fragrance – in fact its essential oil is a key constituent of many non-synthesised perfumes. 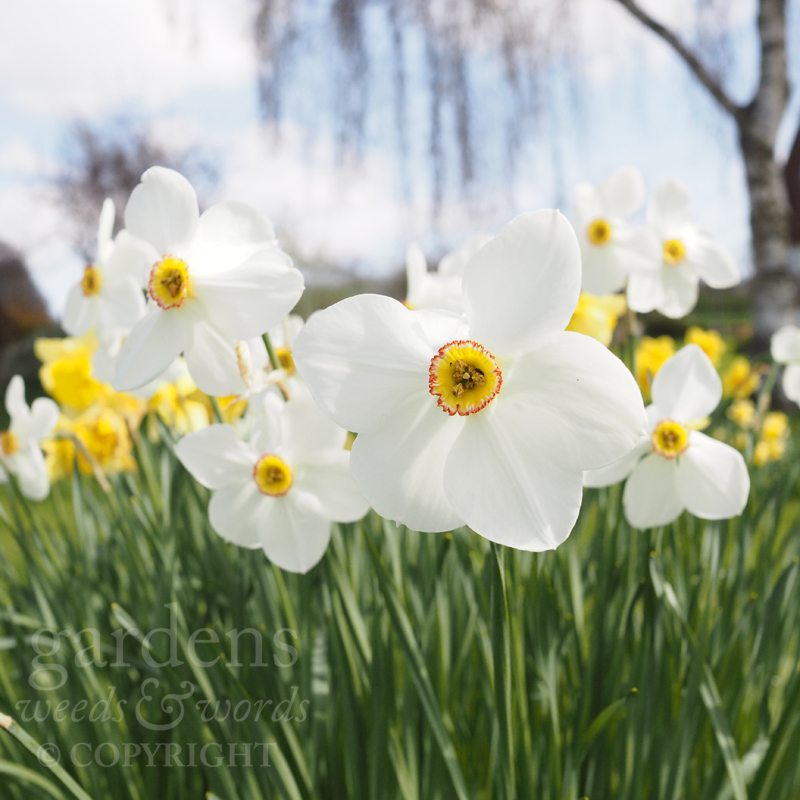 In the garden its worth remembering that Poet’s narcissus takes its time to arrive – perhaps a full month after those eager, yellow relatives that help the Welsh bishop to wave in meteorological spring. But this year, everything seems a little early, and they’ll soon be here.